Choosing: Garlic powder takes time to expire so you don't have to worry about it. Just don't buy garlic powder with a broken seal or container. 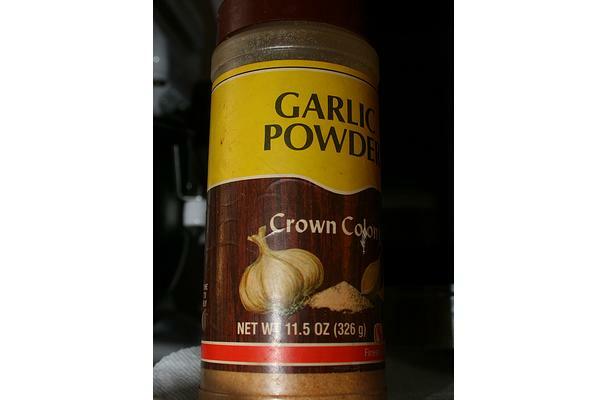 Buying: You can buy garlic powder at any local grocery store or supermarkets. Procuring: Garlic is a bulb, similar to onions. The bulb is underground and the green top is above ground. To harvest, you dig up the bulbs. DO NOT take garlic powder as a complete substitute for a real garlic. Although they have the same flavor, garlic powder cannot produce the texture, taste or aroma derived from cloves from a garlic bulb. Store tightly closed container in a cool, dry place. Garlic powder can be kept for several years, but be aware that the amount of flavor it will deliver will diminish over time. History: The history of garlic goes back over 5,000 years. It is native to Central Asia. In America, there was a wild garlic eaten by pre-Columbian Indians. The name "garlic" is derived from the Old English "garleac", which means "spear leek". Garlic salt first appeared commercially in the 1930s.